One more incredible weddings was held at Barvikha luxury village in the Moscow region. 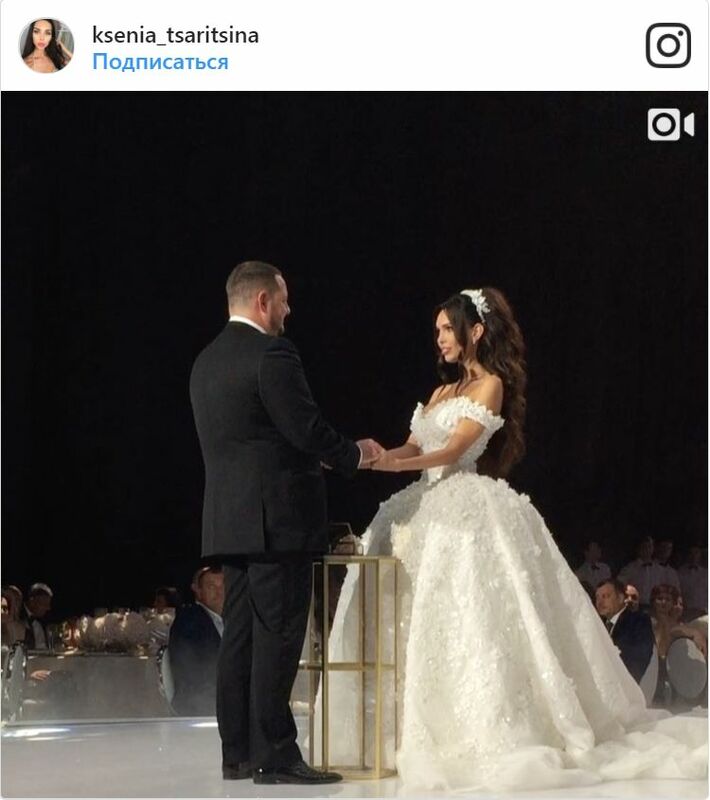 The chosen of Russian businessman walked down the aisle in a snow-white dress with a lush skirt. 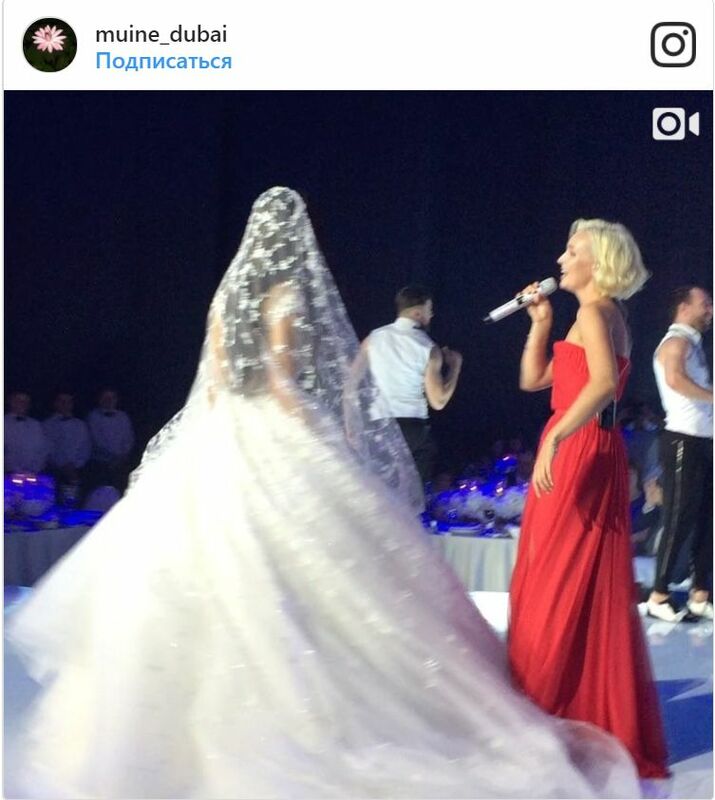 Polina Gagarina and the group "Leningrad" performed at the banquet, organized in honor of the newlyweds, Ksenia Tsaritsina and Alexey Shapovalov. Ksenia Tsaritsina and the oligarch Alexei Shapovalov have been together for many years. Despite the fact that the couple brings up two children, their relationship has not been officially registered. Last weekend, the long-awaited celebration took place. "That was incredible! Thanks to all our friends for sharing this magnificent day with us. Thanks to our big and loving family, "- wrote Ksenia on Instagram. A young woman chose a snow-white dress with a lush skirt. Dress with a deep neckline and lowered shoulders perfectly emphasized the fragility of Ksenia. The groom preferred a classic black suit. 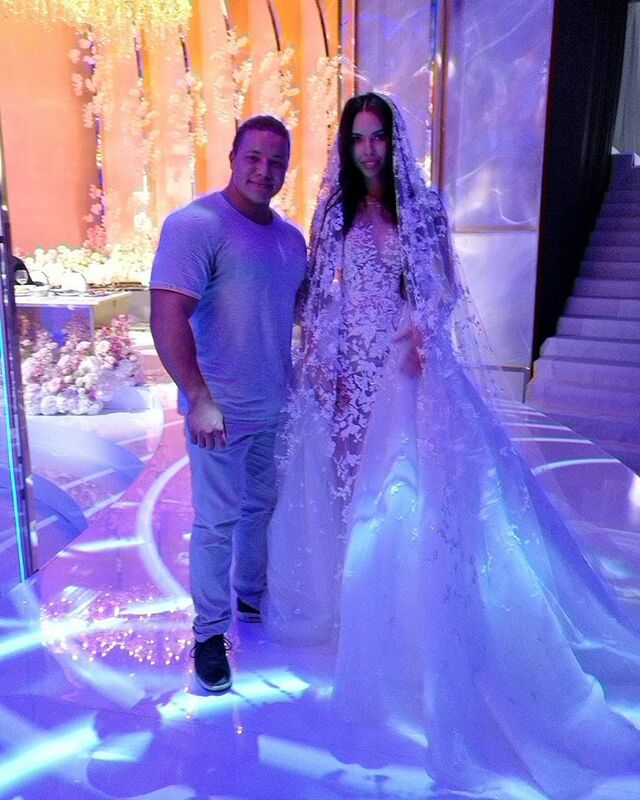 A little later Ksenia changed into a dress decorated with translucent lace inserts and a multi-meter veil, ideally combined with a snow-white outfit. 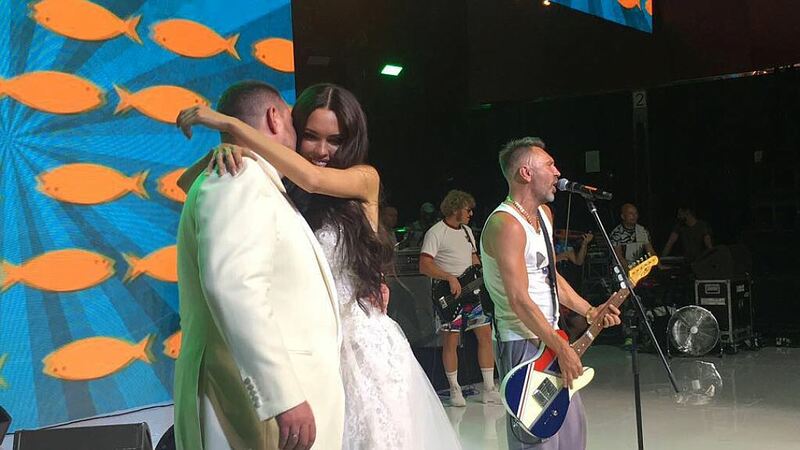 The celebration in honor of the newlyweds was organized at the "Barvikha Luxury Village" concert hall , where a month ago Alexander Ovechkin's wedding took place. The room was decorated with numerous floral arrangements. The guests were entertained by the group "Leningrad" and Polina Gagarina. The stars performed several musical compositions, and afterwards they were happy to take pictures. The bride herself with pleasure danced under incendiary compositions, not paying attention to an uncomfortable wedding dress. The newlyweds chose red and white colors to decorate the hall and dresses of the guests. 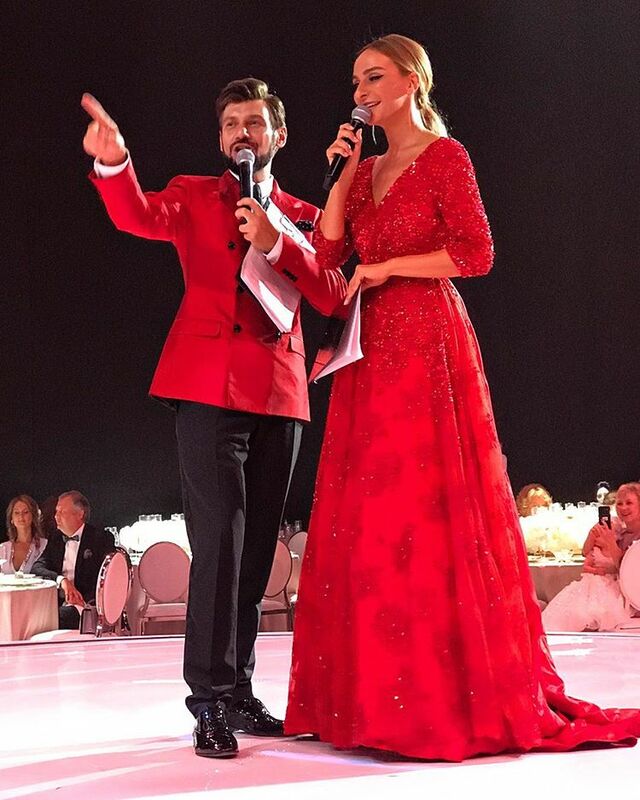 By the way, Polina Gagarina and the leading events appeared on stage in scarlet outfits. The newlyweds met in 2011 in Moscow. Then Shapovalov was in the "Top 100 richest people in Russia", was divorced, led the development company "Samara Business World", owned several shopping centers and office premises in Samara. In 2012, due to conflicts with local officials, he left for permanent residence in the Ulyanovsk region. He met future wife at a social event in Moscow. Ksenia then only came from Omsk, worked as a model. A month after the dating, the couple began to live together. Some time they lived in Ulyanovsk, then in Samara, where they had country houses. And at the end of 2012 moved to the Emirates, where Shapovalov has construction business. Previously, Ksenia has repeatedly admitted that a marriage license is not important to her. However, the lovers still decided to legitimize their relationship, and, apparently, have spared no expense to organize the wedding celebration. Now Tsaritsyna and Shapovalov live mainly in Dubai. The millionaire treats his lady with expensive gifts. So, a few months ago he gave Ksenia a 70 carat diamond ring. Now the fans are sure that a weighty present was timed to the official engagement of the couple. 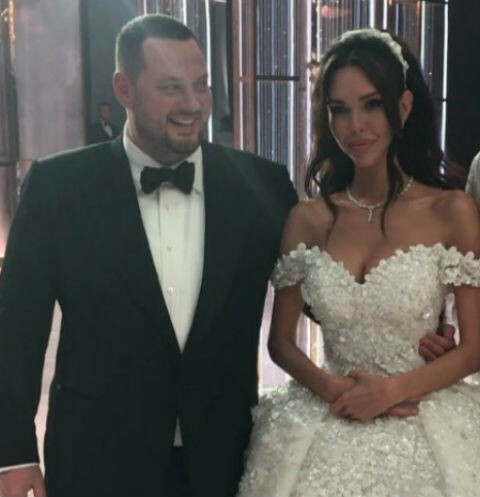 The Russian oligarch's wife boasted a diamond of 70 carats It is still unknown where Ksenia and Alexey will spend their honeymoon. 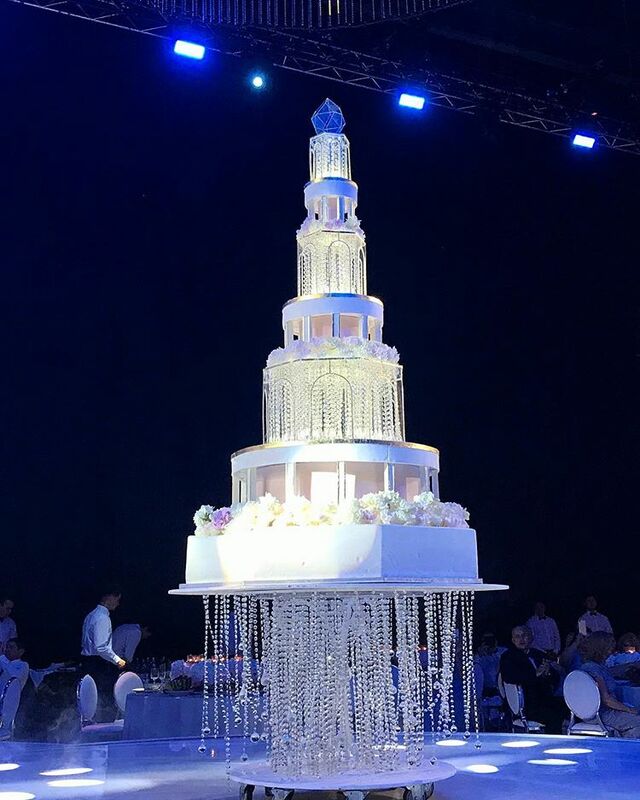 It is possible that after the celebration the couple immediately returned to the Arab Emirates.